Today I'm in part panic mode, part excited mode, and part get-down-to-business mode. Basically, I haven't even started preparing for my trip to NYC, and I leave at the crack of dawn tomorrow. Sheesh! As I mentioned, I'll be leaving tomorrow for NYC to attend the Fashion Forward blog conference...It'll be a quick trip, but I'm excited and grate to Zulily who is sending me there! Thanks Zulily! You can follow along with my little adventure on Instagram, Twitter, and Facebook! 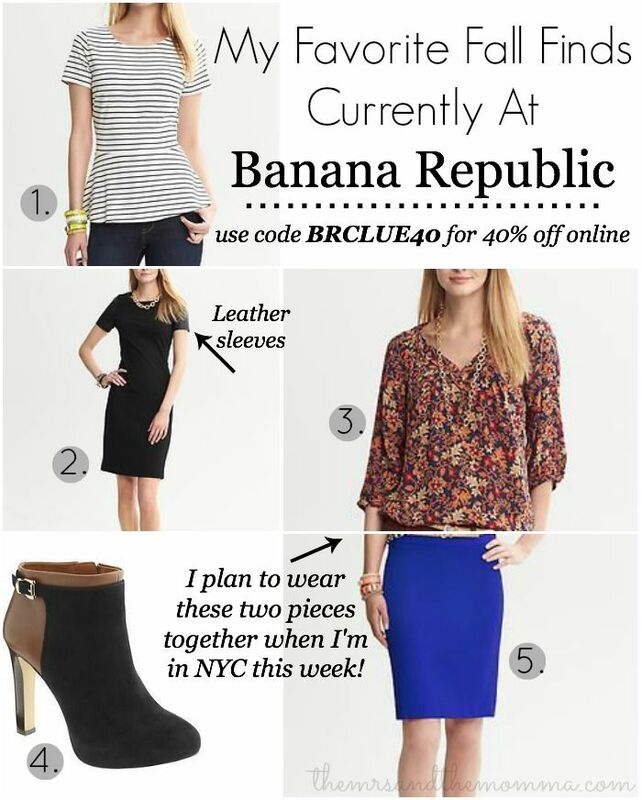 I haven't really ever been to Banana Republic, but after this post, I know I'm going to have to go in! That floral blouse is beautiful as is the peplum! So much love. Banana Republic is one of my favorites!! :) Love the striped peplum and that cobalt skirt! Just stumbled upon your blog thanks to Baby Baker Love. I'm a mommy to a precious 7 month old baby boy and I LOVE finding new mommy blogs that have style. It's nice to see other women who believe that just because we are mom's, doesn't mean we lose ourselves and our individuality.